Businesses choose colors based on how they affect potential customers: red makes you hungry, blue makes you comfortable. This technique is used in everything from wall painting in restaurants to font choices in TV ads. At Blue Door Painting, we know that colors can evoke feelings and we love helping you achieve the ideal look and feel of your space. We also know that many new parents are looking to create a certain atmosphere - while remaining on trend - when they paint their baby's room. 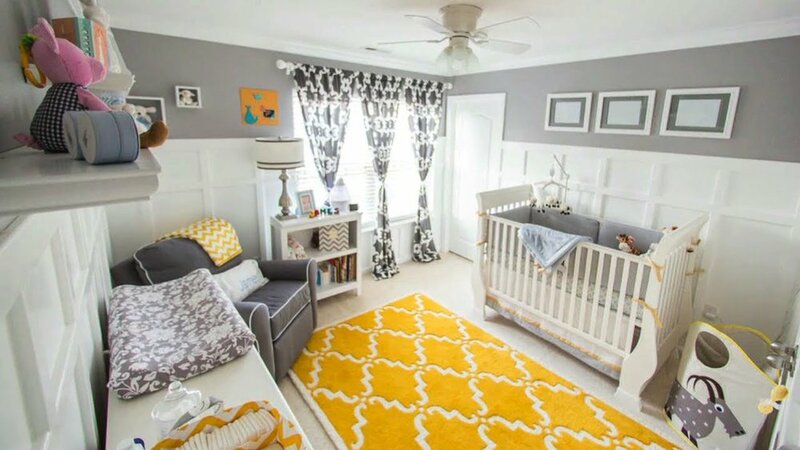 Keep these tips in mind when deciding on your nursery's color and look. If trend-spotters are to be believed, red is the new black. This powerful, passionate color is popping up in baby rooms everywhere, bringing with it a bold, emotional atmosphere. We wouldn't recommend going full red; an accent wall or accent piece would be perfect. Be careful though - too much red can cultivate a lot of emotions...and not just positive ones. Everyone knows pink as the feminine, light female color, but its calming qualities can come in handy with fussy babies. The romantic color is perfect for a princess theme, and classic pink decor in a girl's room will never go out of style. Not traditionally included in nurseries, this color is cozy. The comfortable, warm vibe given off by this hue is fun while still keeping the room calm and welcoming. As we've discussed in other blogs, yellow is a fun, upbeat color that inspires a cheerful personality. Be cautious with yellow in nurseries though; the brightness can be overwhelming and this color can provoke some unrest. Many moms- and dads-to-be choose green as a neutral compromise, especially if they're waiting to reveal their new addition's gender until later. This color has more value than just generic properties, though - it provokes learning and nurturing. The serene nature helps calm babies and promote happiness. Along with pink, blue comes with a stereotype outright: boys. But unlike pink, this color is rapidly finding its way into the other gender's rooms (in lighter, more pastel tones). For both boys and girls, blue can help with productivity, but the shade is important. Some blues - dustier, grayish blues - can lead to sadness, and deep, dark blues can be overused. Think bright, fun blues for a baby's room. If pink wasn't "princess" enough, consider purple since it's fit for a queen! The color of royalty, this option lends itself well to girls' rooms, giving a luxurious atmosphere. On top of the royal treatment, purple also has calming qualities to help with fussier babies. White in nurseries has taken a backseat to more bold choices and statements, but still has its merits. Even white walls need statement colors - photos here, decor there - but the angelic nature of the color is attractive to some parents who don't yet know what they're having. Careful, though - white stains easily! Minimalist parents will love the idea of a black (and white) nursery; clean lines, modern edges and a powerful atmosphere. However, strong and dark hues like black should be used in moderation (accents, linens, etc.) and only in rooms with plenty of light. 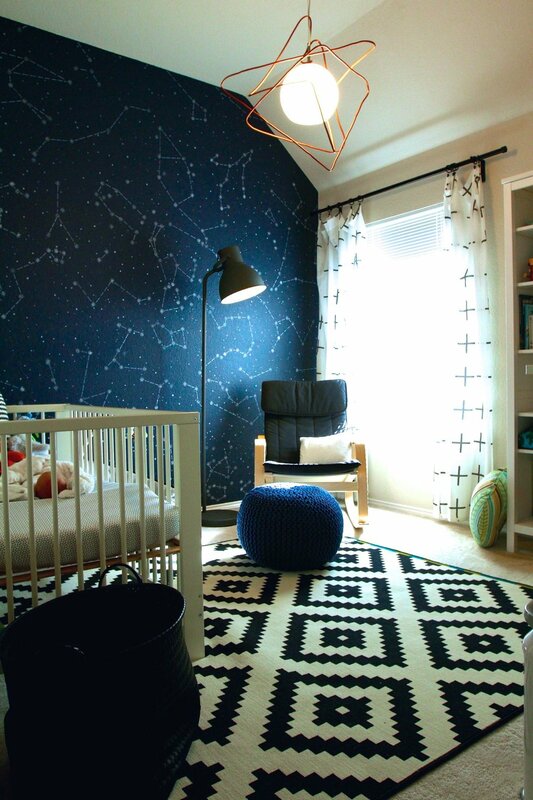 Have a dream nursery in mind? Get in touch today to let us help you achieve that dream.